Does anyone else feel slightly depressed after taking the Christmas decorations down and realizing that your home looks barren and dull?!??! 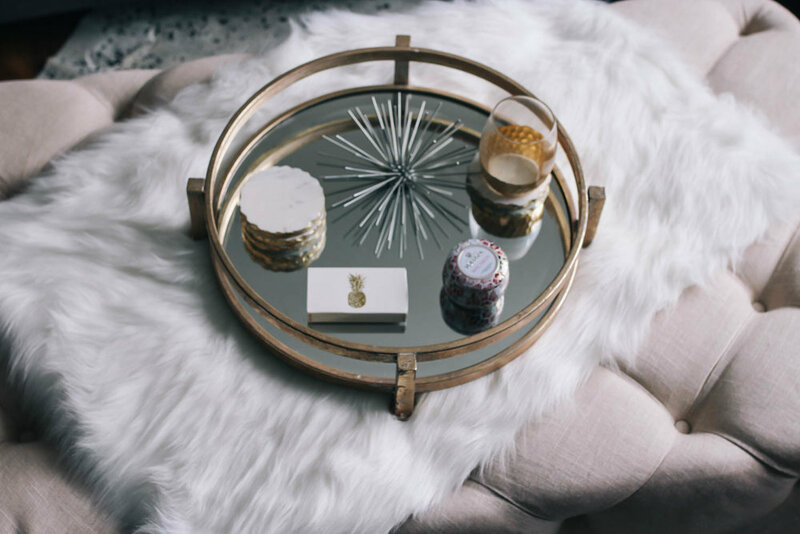 Whenever I take down my holiday decor, I always crave a little refresh in my home so I decided to add some newness to our living room! 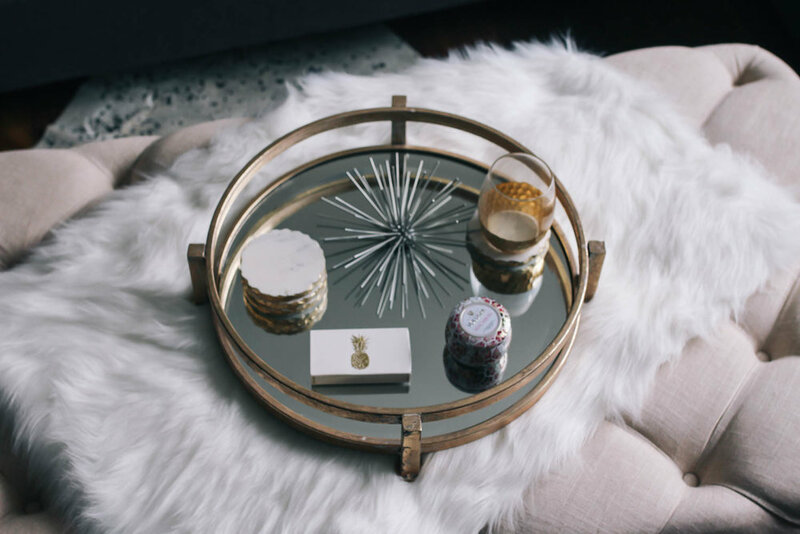 I've been wanting to switch up our coffee table for a while. I'm not swearing off coffee tables, but I just really wasn't feeling mine. 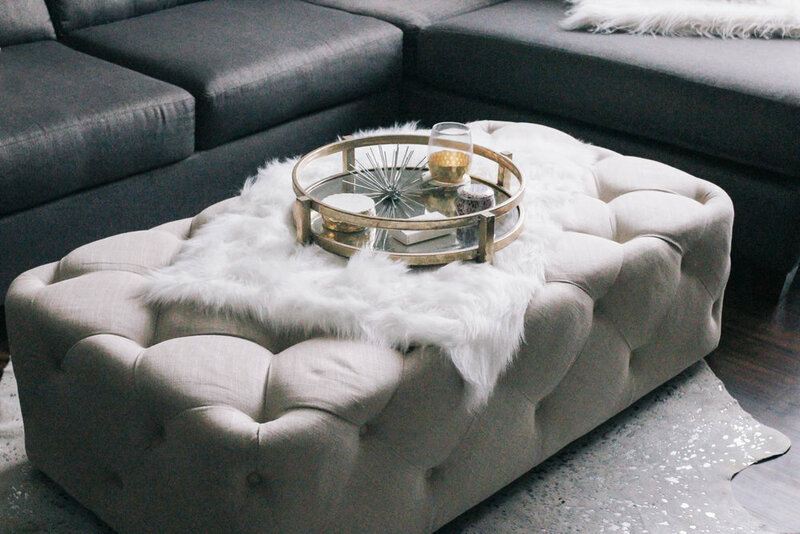 I love putting my feet up and I just felt like a tufted ottoman would be much more fitting (and comfy). I took a trip to my fav home store, At Home, and got to searchin. My favorite thing about At Home is the massive selection that is always changing. Whenever I go, I always find so many new items at amazing prices. 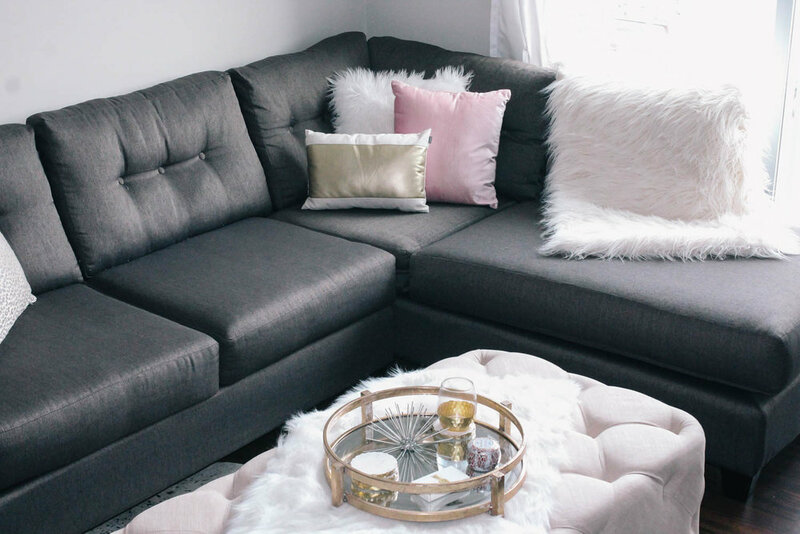 I found this amazing ottoman at a killer price and added a cute throw to keep it fresh and protect against spills while still looking cute. 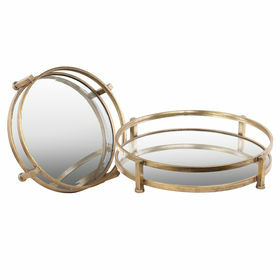 I also added a fun mirrored tray with some other trinkets from At Home. I loove how it turned it! It's crazy how much of a difference it makes!! Thanks to At Home for sponsoring this post. All opinions are my own and I'm thankful to work with brands I love!